How do I add Boards to a Draft Pin? Every Pin needs one or more Boards to post. 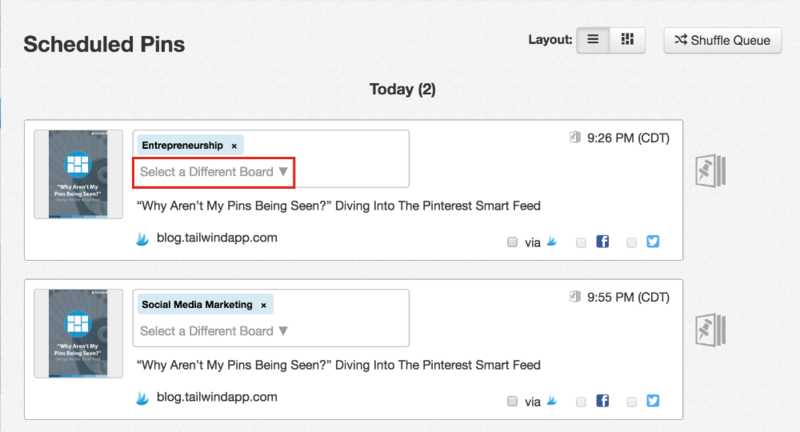 Here's how to add quickly add Boards to your Draft Pins. 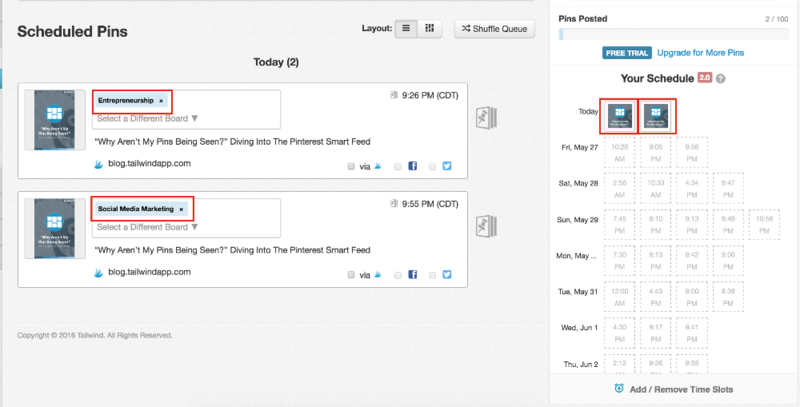 You are ready to schedule some content, but first you need to add boards to your Pin. Here is a step by step guide on how to add boards pins! On a draft Pin, in the "Type a Board Name" box, begin typing your board’s name or scroll down and click to select it. 2. Choose which boards you would like to assign to the pin from the list by clicking on it. Note: You can add multiple boards to drafts before scheduling them. 3. Once are you happy with the boards assigned to the board, select "Add to Queue". 4. You will then see that Tailwind has added individual pins to your queue for each selected board. 5. If you want to change the board on a scheduled pin, you can use the board selector that says, “Select a Different Board” in the same way. However, scheduled pins can only have one board. Not seeing a board you just created? Check out the "Refresh Boards" article to see how you can update your board list.